Inspired by a Flag for the #31DC2016Weekly - Polish Etc. This week's prompt is probably the least inspirational of them all. We are creating a manicure inspired by a flag. I usually do a three colors fan brush mani using the colors of a certain flag. Most flags are only one or two colors. 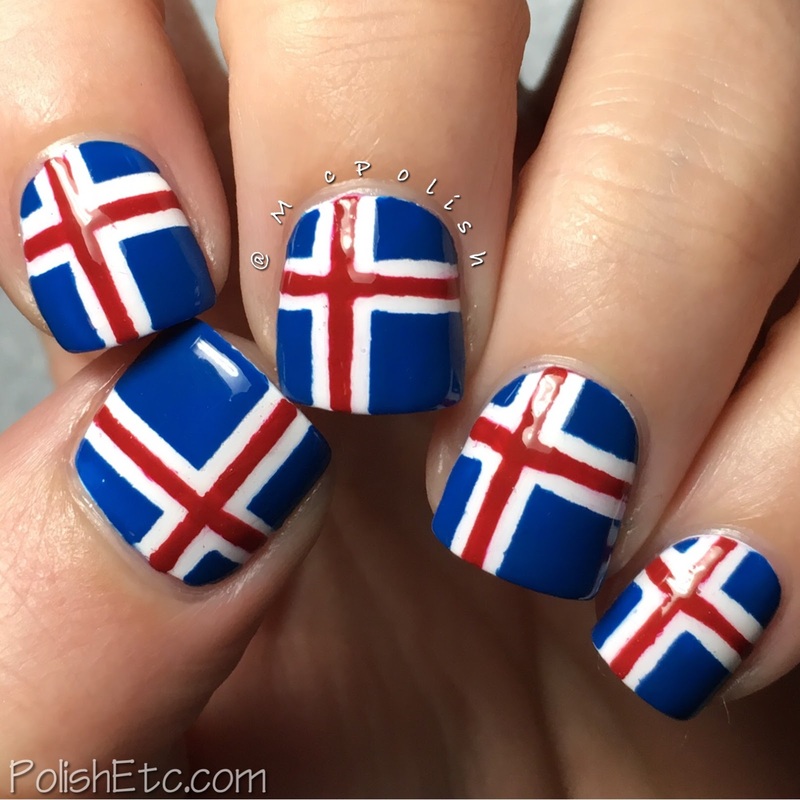 This year, I decided to recreate a flag on my nails. In a few months, I am going to be checking off a country I want to visit from the top of my list. I am heading to Iceland! 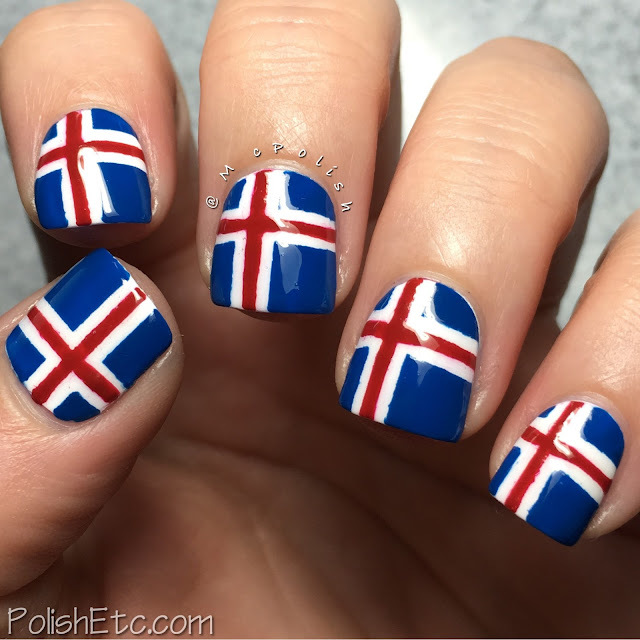 And I am super duper excited :) So why not use Iceland's flag as my inspiration? The Icelandic flag uses the same three colors as my own country's flag: red, white and blue. But it is in the shape of a left sided cross. First, I painted a base coat of white with Digital Nails "I See London". Then I used striping tape to create the cross and painted in the spaces with blue and red. The red is Mary Kay "Radiant Red" and the blue is butterLondon "Blagger". I did have to do a lot of clean up. The striping tape was not being cooperative. But after that was done (and I came to grips that it was not going to be perfect), I topped with all off with a glossy top coat. Only three more prompts left in the weekly challenge! 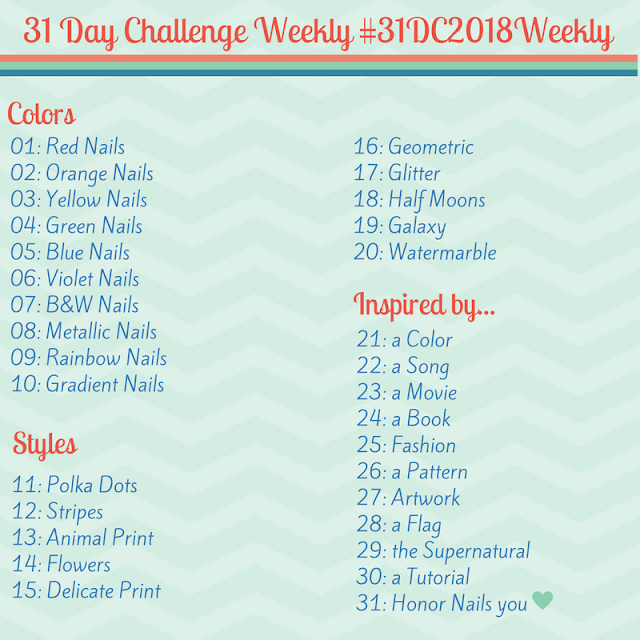 To look at all of the other people participating in the weekly version of the 31 Day Nail Art Challenge, check out the #31DC2016Weekly tag on Instagram, Twitter and Facebook.